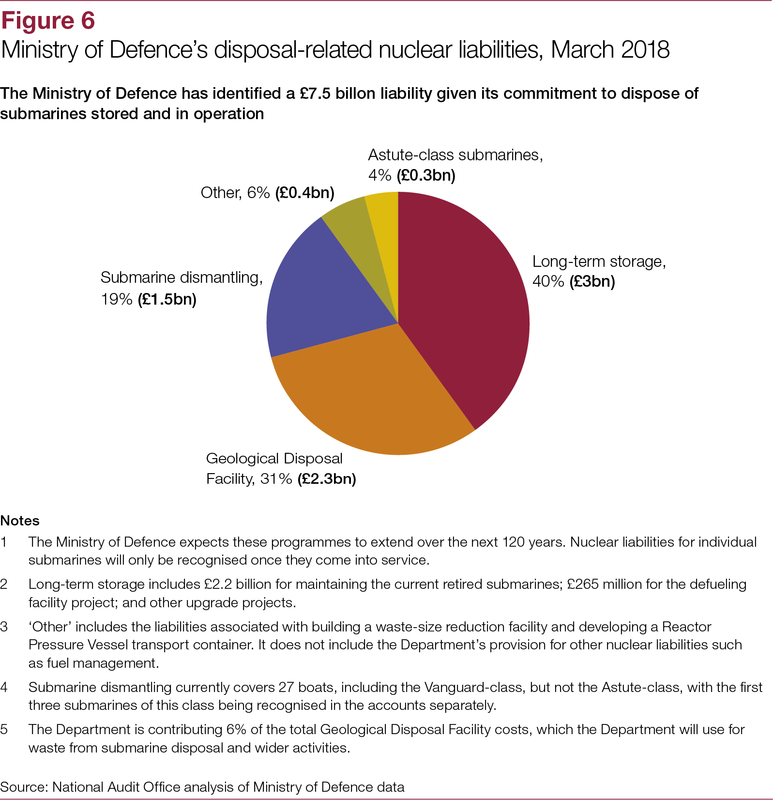 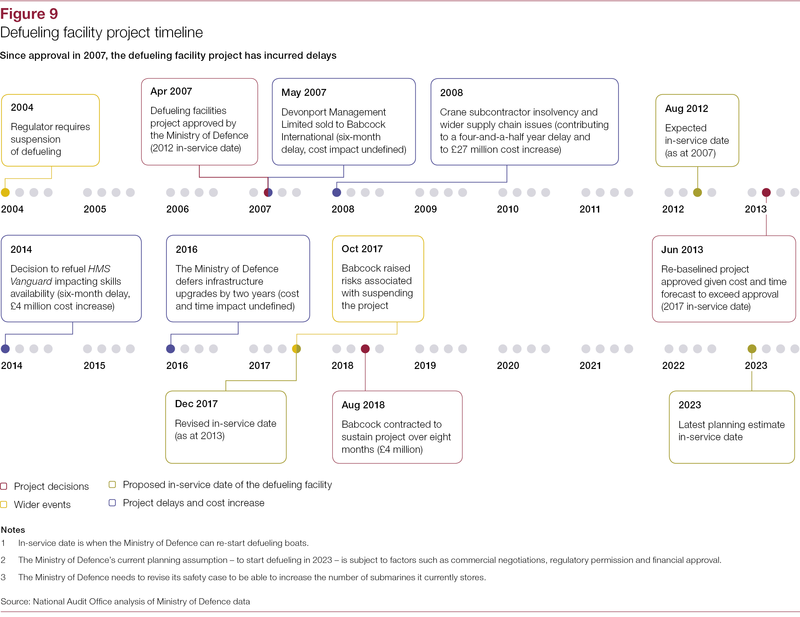 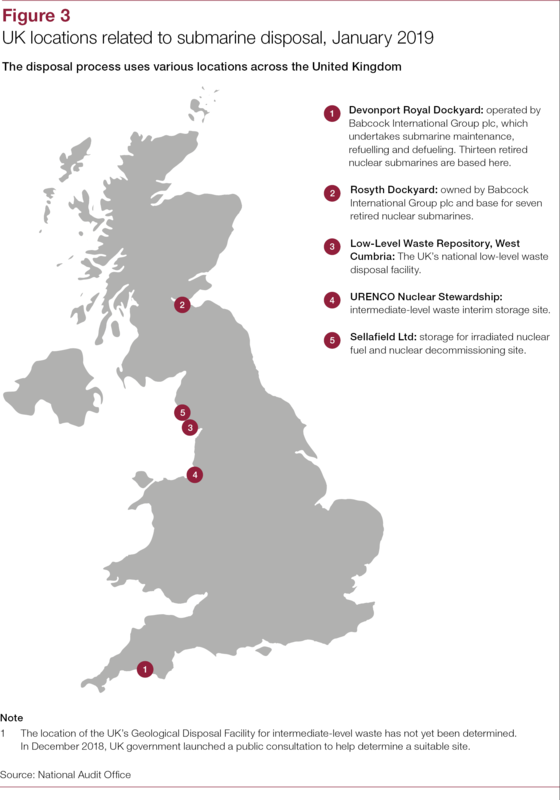 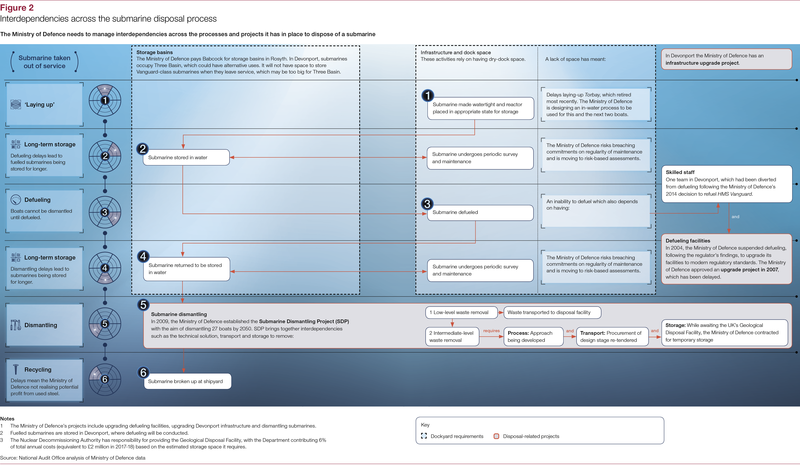 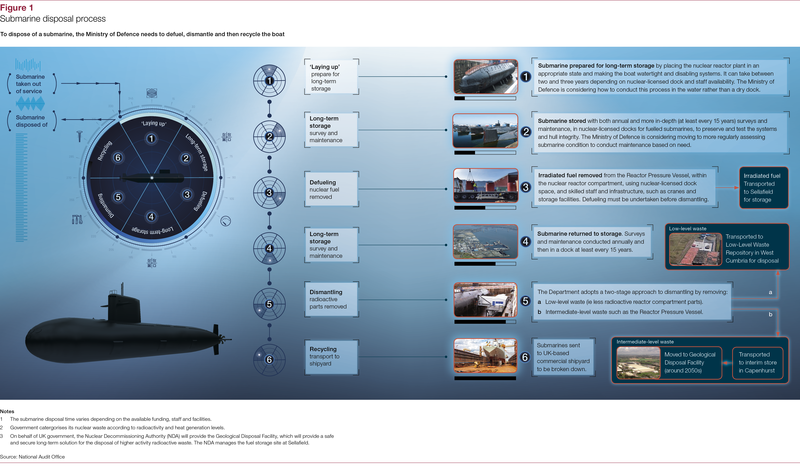 We investigated the Ministry of Defence's progress with submarine disposal and in implementing the projects needed to make this work. 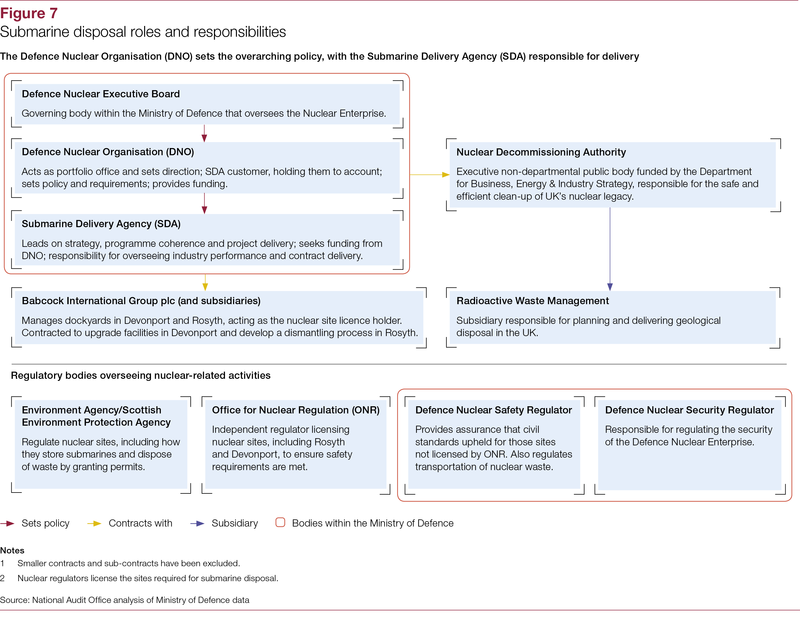 The Ministry of Defence (the Department) uses nuclear-powered submarines, including those with and without nuclear weapons, to meet its operational requirements. 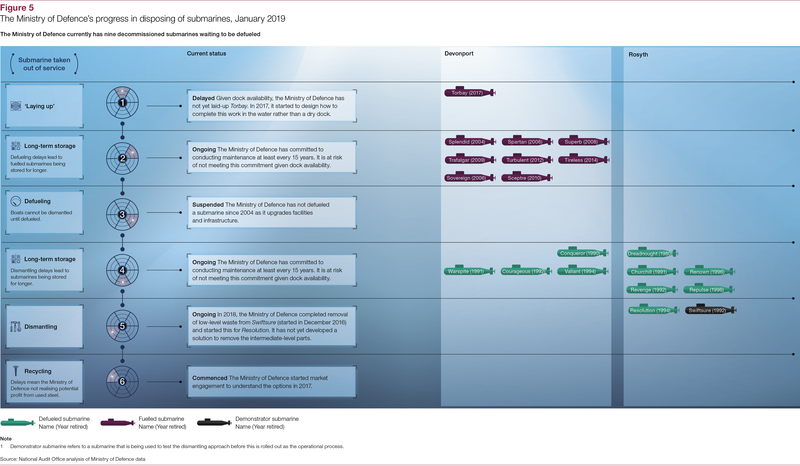 Since 1980, it has removed 20 submarines from service and replaced them with newer ones. 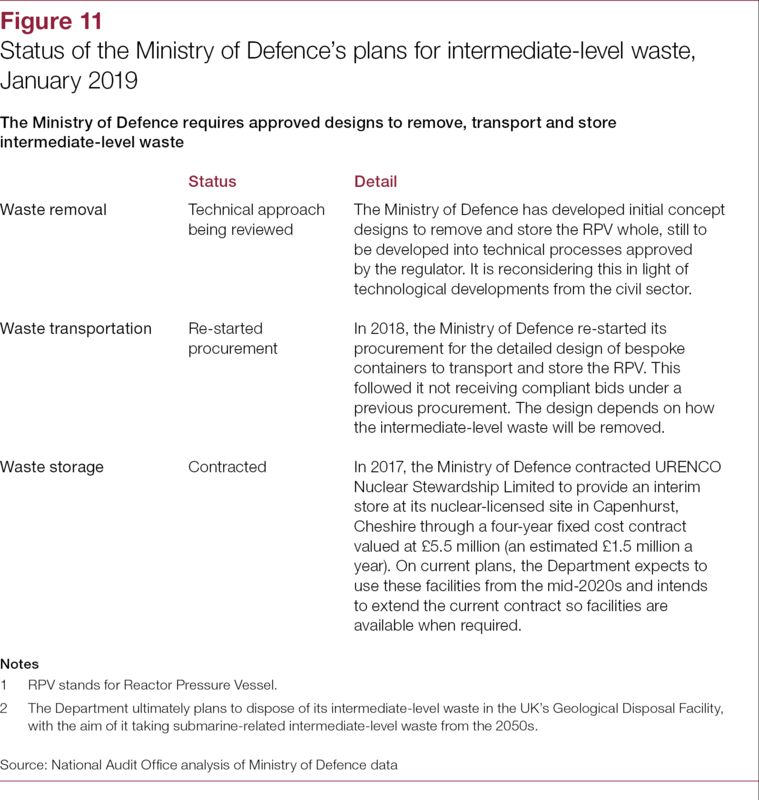 It has committed to handling the resultant nuclear liabilities responsibly and disposing of submarines “as soon as reasonably practicable”. 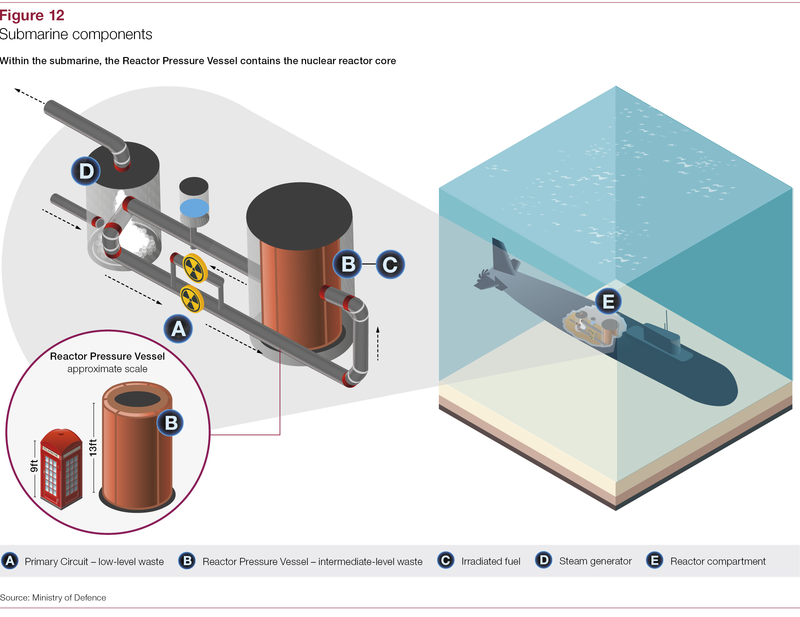 Disposal includes removing the irradiated nuclear fuel (defueling), safely storing submarines, taking out the radioactive parts (dismantling), and then recycling the boat. 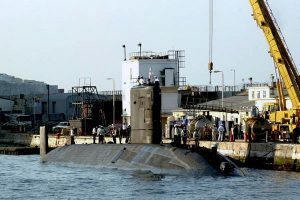 To date, the Department has not yet disposed of any of its 20 retired submarines, with nine of them still containing irradiated fuel. 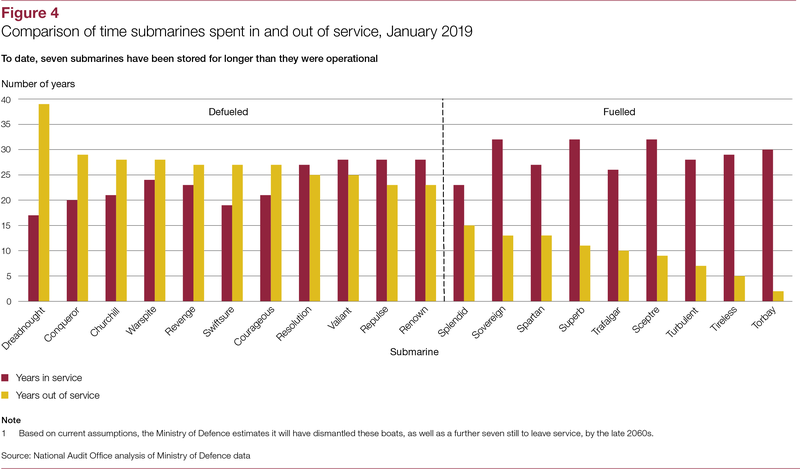 The Department plans to take a further three submarines out of service over the next decade. 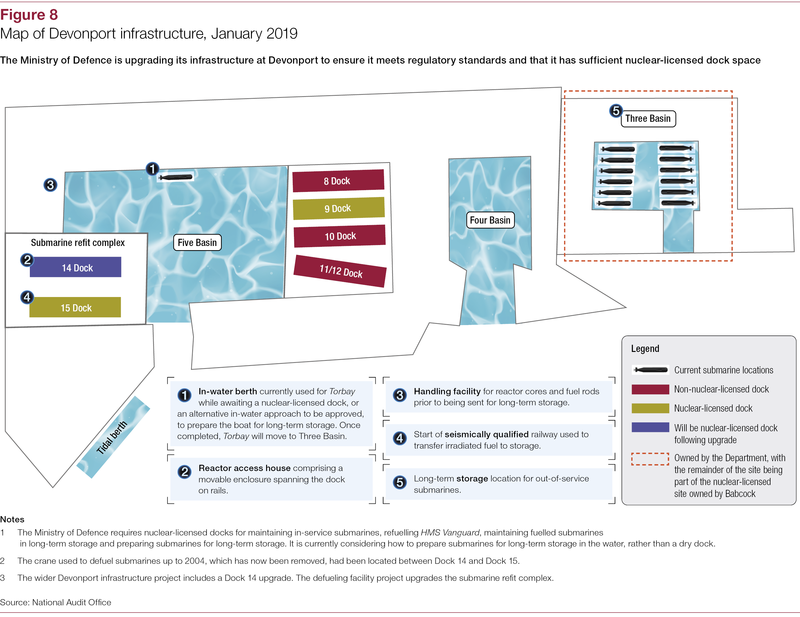 The Department stores out‑of‑service submarines at dockyards in Devonport (Devon) and Rosyth (Fife), which the nuclear regulators have assessed as safe. 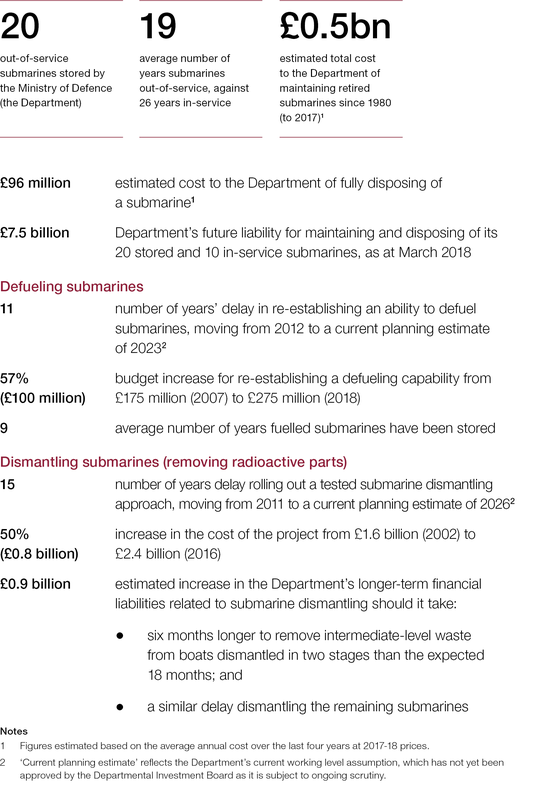 the Department’s progress in removing radioactive parts from submarines (Part Three).